Elaine Quinn is a Chicago based therapist who makes it her mission to promote mental health and joy. 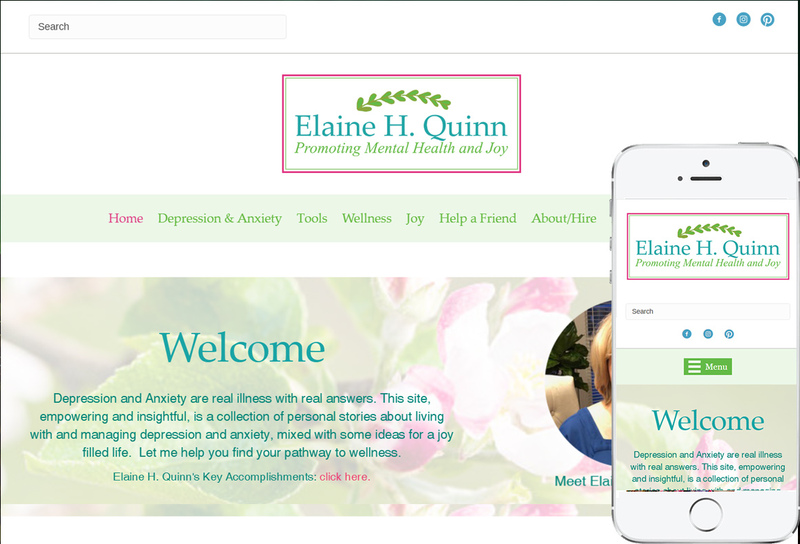 Elaine hired me to make her blog mobile friendly, create a new logo and color scheme, and refresh her blog design. I also helped her integrate a mailing list with Mailchimp. © 2018 Los Angeles Wordpress Web Design Company - Creation Web Design. All Rights Reserved.